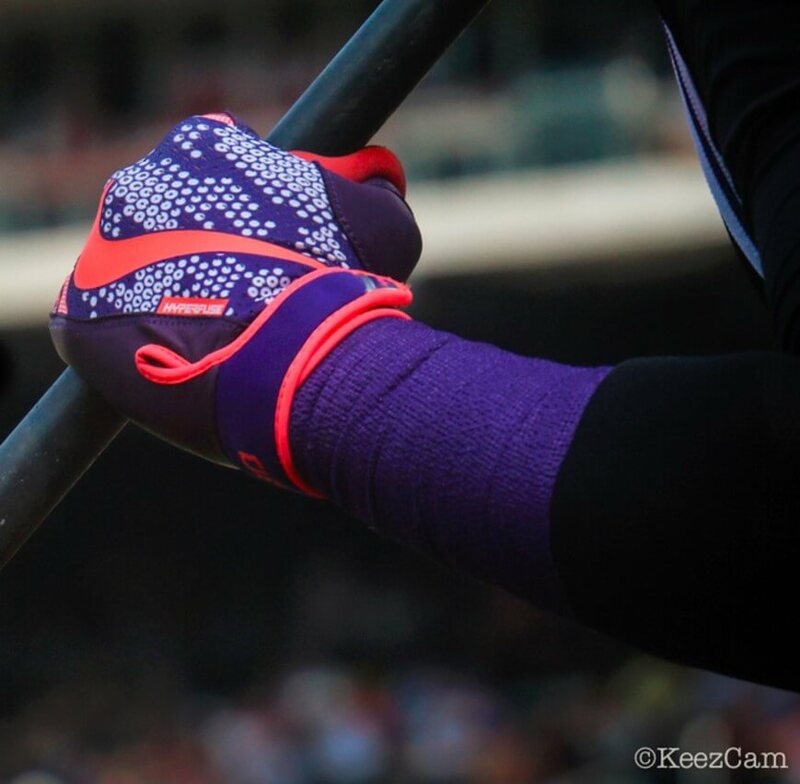 Nobody but CarGo wears pink year-round, and with these Nike Vapor Elite 3.0 batting gloves, he wears it well. Pink is not really recommended on a ballfield, except on Mother’s Day, but somehow the purple and pink work for me. You can get the Vapors but not in this crazy colorway. 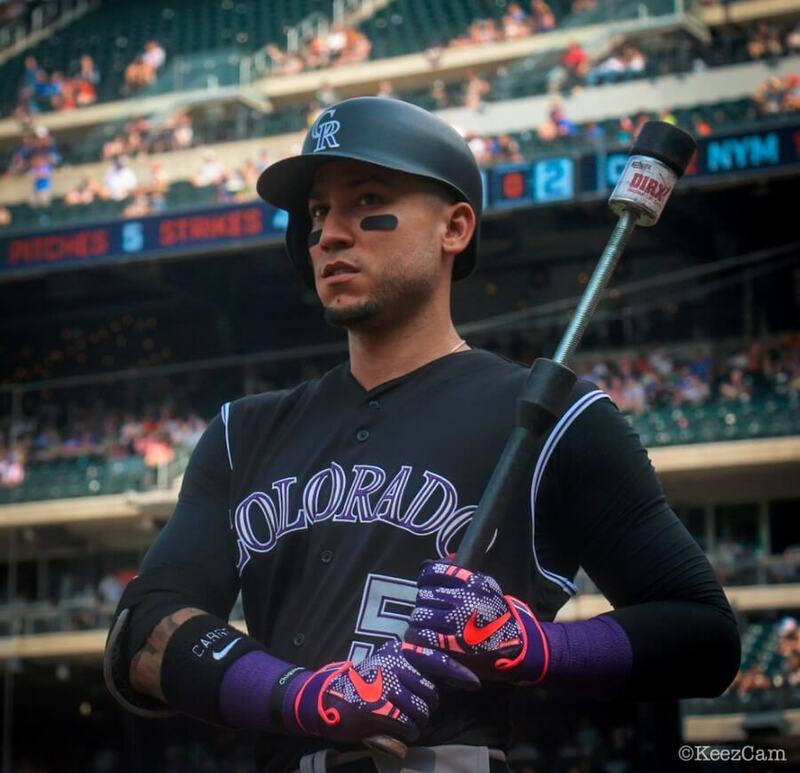 Categories: Gear, Outfield, Batting Gloves, Colorado Rockies, Carlos Gonzalez.